Ride lasts approximately 5 minutes. 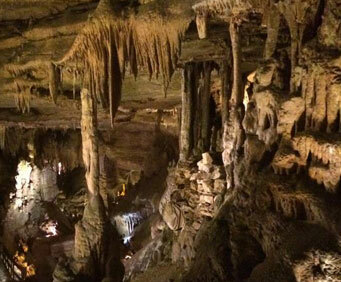 Raccoon Mountain Caverns is no longer available. 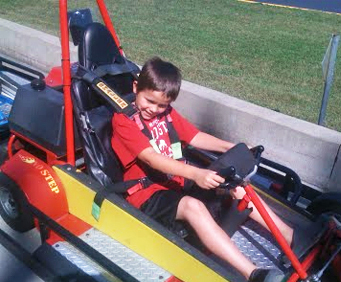 Raccoon Mountain Caverns' Go-Karts offers racing excitement in officially licensed NASkarts for a thrilling time that will push your racing abilities to the limit. The 630 foot, slick track ensures that the race will be long enough to ensure a true battle on the speedway, while the slick surface puts every participants handling abilities to the test. 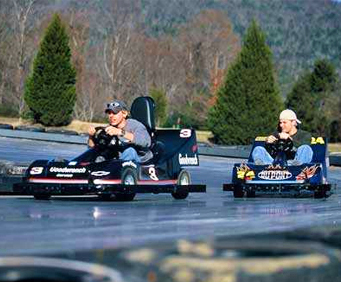 For family fun in the Chattanooga area, look no further than Raccoon Mountain Caverns' Go-Karts! Kids under 54' and over 2 years old may ride in a double kart with someone over the age of 16. Double karts are for an adult and one child. 2 adults cannot ride in a double. All Go-Karts featured at Raccoon Mountain Caverns' Go-Karts are officially licensed NASkarts powered by the quietest, most environmentally friendly engine in their class. 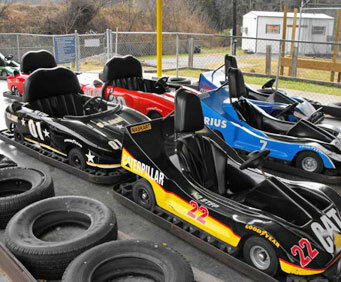 Single-seat karts and twin-seat karts are both featured. Great for the kids but not us fat old people. I love go carts they are so fun you'll have a blast!! !